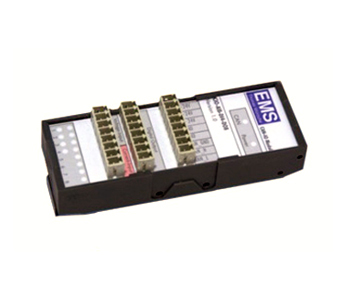 The CIO is a versatile I/O module for the CAN bus. Designed for industrial series applications it has a robust and cost efficient layout, and supports 8 digital 24V/500mA output and 8 analog input channels. The inputs are split in 0-10V voltage and 0-25mA current inputs. The voltage inputs may be used as digital inputs as well. Four of the eight output channels can be configured for PWM output. The CIO is configured by read and write accesses to registers, with the configuration stored permanently in an EEPROM. Different modules in the same net are addressed by their module ID, which is assigned by the user. A module with an unknown ID or with an unknown set baud rate can be reset to default by a special mechanism.